I. For hundreds of years before the birth of Christianity, a majority of Jews had lived in the Diaspora, and there, the Jewish tradition developed distinctively. A. The Diaspora had existed since the time of Jeremiah and, by the first century c.e., included Jewish communities organized around synagogues in every part of the known world, from Iraq in the east to Spain in the west. B. Under the Greek and Roman Empires, Jewish communities had substantial freedom and even certain privileges. For example, they were exempt from military service, were exempt from paying local taxes, had their own courts in the synagogue, and were allowed to practice the Sabbath. C. The Diaspora that was most important for the future of rabbinic (Talmudic) Judaism was Aramaic speaking and was centered in Babylonia. The Diaspora that was most important for the shaping of Christianity was Greek speaking (thus, "Hellenistic Judaism") and was centered in Alexandria. 1. Alexandria was the great center for Hellenistic learning (because of its renowned library) and was the location of a large and powerful Jewish community. 2. 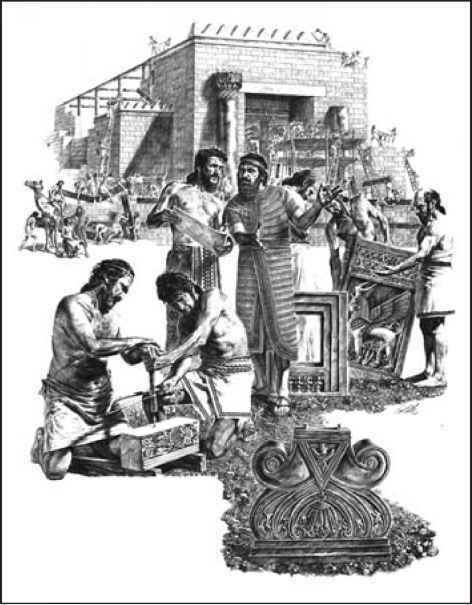 In Alexandria, Torah was translated into Greek around 250 b.c.e. This translation (LXX = The Septuagint) was Scripture for Greek-speaking Jews, who believed it to have been divinely inspired. 3. This translation was also the bible of the first Christians, who adopted the Jewish belief that it had been divinely inspired. 4. The LXX was the basis for an extensive apologetic literature that engaged Greco-Roman culture from the perspective of Jewish convictions. II. The differences between Palestinian and Hellenistic Judaism are owed not simply to place and language but, above all, to social context. A. The conditions of life did not demand the identification of religious symbols and social institutions. 1. The recognition of Judaism as a religio licita ("authorized cult") enabled Jews to assert their separate identity in a variety of ways. 2. At the same time, the very pervasiveness of Greek culture invited modes of assimilation that did not threaten that separate identity as a people. B. Jewish life in the Diaspora centered particularly on the synagogue. 1. The several names for this institution suggest some of its function: "synagogue," ecclesia, and beth ha kenesset all point to its function as gathering place, whereas beth ha midrash denotes study of Torah, gerousia signals the function of decision making, and proseuche designates a place of worship. 2. The lack of competing institutions helped elevate the pattern of life organized around the synagogue and enabled interested Gentiles to observe and even share that life. C. Just as Diaspora Jews experienced the tension between separation and assimilation, so did they experience from outsiders the dual response of attraction and repulsion. 1. Attraction to Judaism sometimes led to conversion among Gentiles ("proselytes") and sometimes to a loose association ("God-fearers"). 2. It was among the God-fearers that Christianity found its earliest adherents. 3. Repulsion sometimes led to local outbreaks of anti-Semitism, which in turn stimulated the production of a large amount of apologetic (defensive) literature. 4. Attacks on Jews were often made because Jews seemed to insist on being different and were believed to be misanthropic. III. Philo of Alexandria (30 b.c.e-45 c.e.) is the most important representative of Hellenistic Jewish religious experience. A. Philo was a deeply loyal member of the Alexandrian Jewish community who was equally immersed in Greco-Roman culture. 1. His loyalty is demonstrated by his works written in defense of Judaism against popular and official harassment (Against Faustus, Embassy to Gaius). 2. His Greek culture is shown above all in his allegorical interpretation of the Septuagint through the perspective of Platonic philosophy (see Allegorical Laws). 3. In Philo's reading of Scripture, Judaism is construed as the best of all philosophies, and its heroes are portrayed as philosophers (see Life of Moses). B. Philo's personal religious experience is revealed obliquely through his writings. 2. In some brief passages, Philo suggests a personal experience of mysticism (On the Creation 71; On the Cherubim 48). IV. How typical was Philo of Hellenistic Judaism? A. Some argue that he was an isolated figure, but there is sufficient evidence from other Hellenistic Jewish authors to demonstrate that his approach to Torah was widespread. B. The archaeological discoveries at Dura-Europos, when read in the context of extant literary evidence, point to a "mystical Judaism" in places far away from Alexandria that gave an esoteric meaning to a shared exoteric tradition.